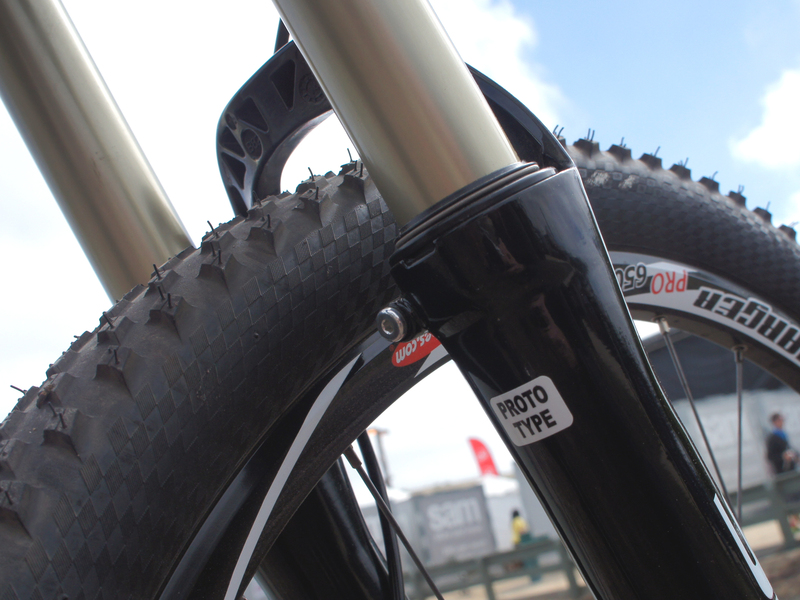 Around for over forty years, RST is arguably older at this point than most enduro riders. The Taiwanese company is still young at heart, though, and isn’t afraid to try what the kids are into these days. And what the kids are into is beefy, mid- to long-travel forks. 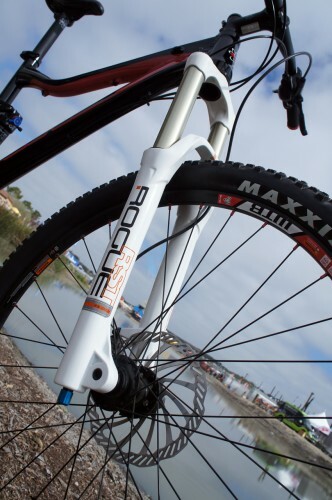 The clean-looking Rogue is a 140-160mm fork built on a 34mm chassis. The fork’s air spring is eased into its travel by a coil negative spring- a straightforward arrangement that has been used to good effect by a number of companies. 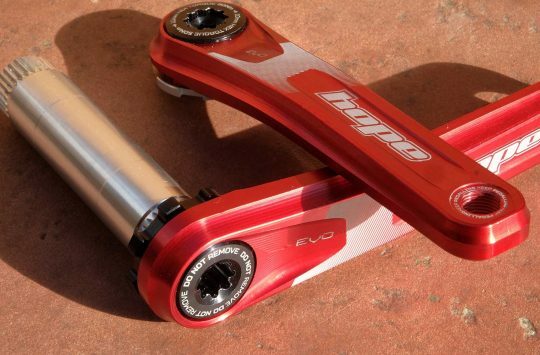 Keeping things from getting too bouncy, RST’s OCR damper features externally-adjustable rebound and compression damping, the latter verging on lockout at its firmest. Rogues are available for 26in and 27.5in wheels, keeping both legacy riders and early adopters happy. 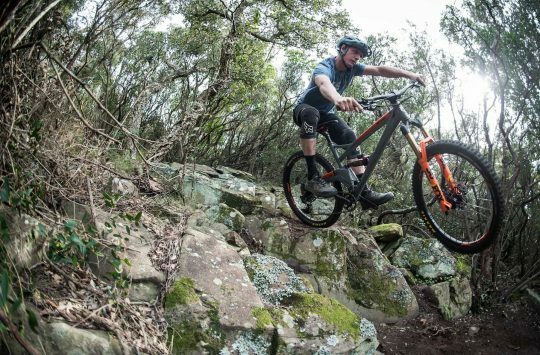 At 4.2lb, the RST looks competitive for its intended use, and the $550 is around half the price of bigger names’ fat-legged offerings. Is this a… oh, never mind. 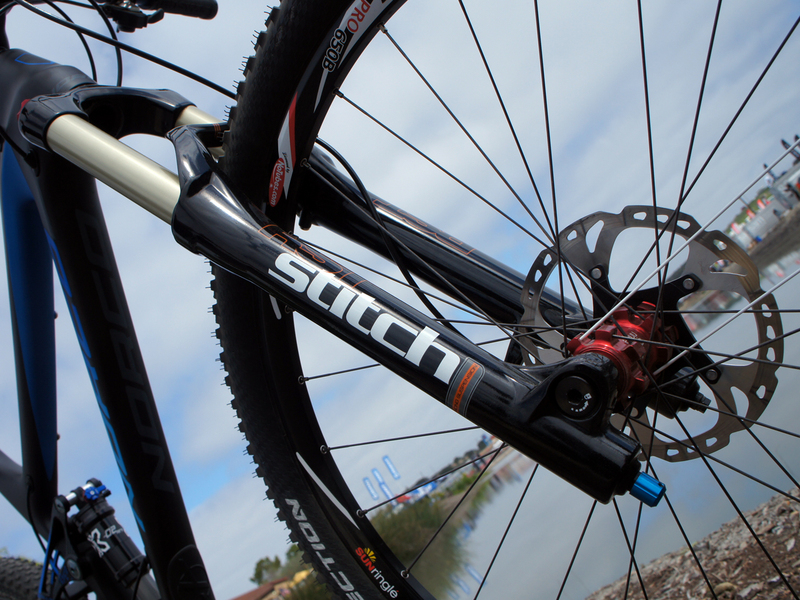 Taking things up a level, the Stitch uses 36mm stanchions and a 20mm thru axle to keep the 160-180mm fork pointed in the right direction. 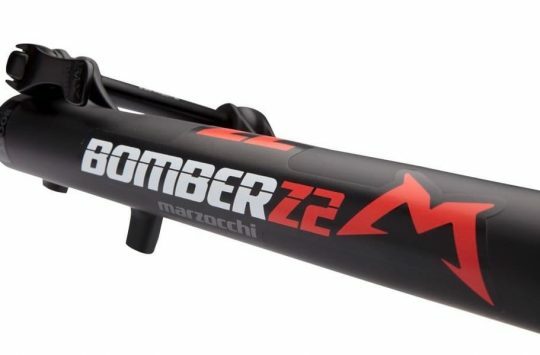 Also available in 26in and 27.5 configurations, the Stitch goes to an OCR+ damper, which adds a speed-sensitive secondary compression damping circuit to better control big and fast hits. Production weights are expected to come in under 5lb. 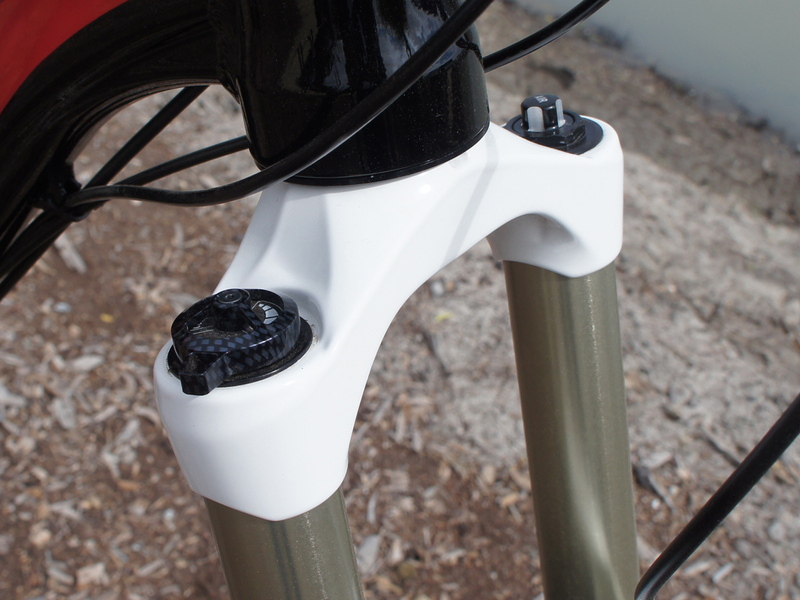 An interesting feature on both the Stitch and Killah DH fork (not pictured) was these trail-accessible vents, designed to allow users release the pressure that can build up over the course of long or repeated descents. The ports also serve as an easy way to add grease between services, not unlike Manitou’s Microlube system. Again, value for money is a big Stitch selling point: at a projected $645 projected, the RST looks like a solidly-constructed option.